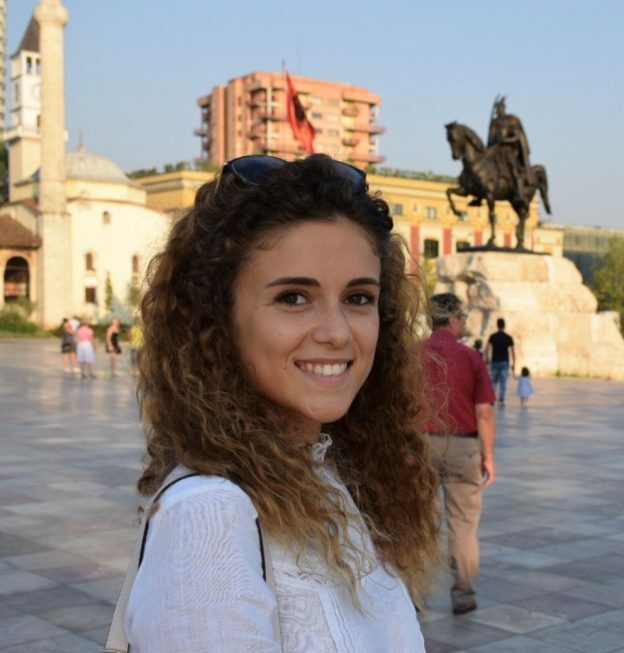 The School of Economics would like to congratulate second year Economics student Enisa Marku who was recently awarded a scholarship to attend Kent Summer School in Brussels in June. We caught up with Enisa to find out a little more about this fantastic opportunity. What made apply to the summer scheme? I wanted to experience something new and maybe have something interesting to add to my CV. I chose the Brussels Summer School because I felt that the sessions covered really interesting topics. I’m from Italy, my parents are migrants that came to Italy from Albania in the 90’s: Therefore, the migrants issue is something that touches me. Also, I am from Italy and I decided to move to study in the UK and the summer before I moved, the Brexit referendum result came out. This made me think: I come from an EU country, and I now live in one that chose to leave the EU. I wonder whether this will affect my EU citizenship rights, whether something will change for me, for my studies and for my rights of staying in the UK. In the summer school all these topics will be covered. It’s also a once in a lifetime experience. I don’t know if I will be able to spend two weeks somewhere learning about something new when I will start working. So I thought I should definitely seize the opportunity and give it a go. What are you going to study at the summer school and what activities are planned? The Summer School is two weeks long and everyday I will have to attend 4 hours of lectures and talks held by many subject experts. The main focus of the summer school is going to be the EU as a global organisation. We will therefore learn what the EU is and what being an EU citizen means. The role of the EU when it comes to global issues, referring to organisations like NATO and focusing on the migrant issue. We will also explore the topics related to Brexit. At the end, each group of students will have to present their own project related to what they have learnt in the two preceding weeks. Two days will be dedicated to trips: one to the EU Parliament and the other to Mons (a city near Brussels), and there will be a final elegant dinner to celebrate the end of the experience. Brussels has always been a place I wanted to visit and now I am looking forward to experiencing two full weeks of life there. I am sure I will have a great time. I know there will be students from different backgrounds and different countries from which I can learn new things and further widen my horizons. I can’t wait to visit the EU Parliament and all those places I usually see on TV and where important decisions are made. There will be serious moments where I will have lectures and I will have to squeeze my brain and try to understand all the new concepts. I will learn about topics I do not directly study for my Economics degree but that may be useful sooner or later. I will also have time to go around and visit the city and the wonderful attractions such as the museums and the castles and, why not, enjoy some nice chocolate gauffre and french fries! We wish Enisa all the best for her summer school experience in Brussels and look forward to finding out how she gets on when she returns! This entry was posted in Employability, General, Prospective Students, Undergraduate on April 19, 2018 by cm894.